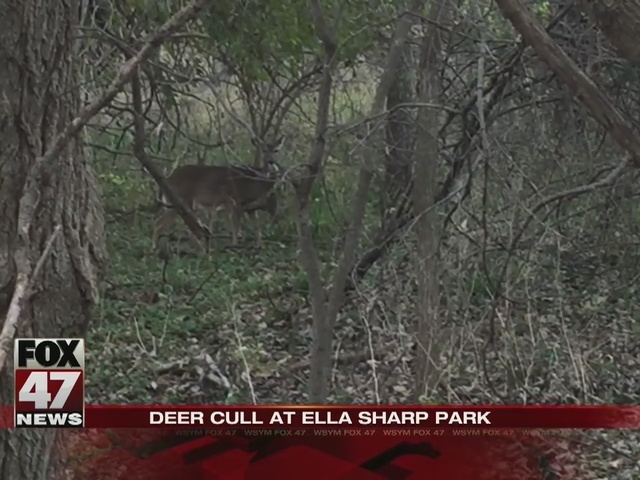 Portions of the road and trail around Ella Sharp Park and the golf course will be closed this weekend as part of an effort to clear the area of deer. Sharpshooters from Aaron’s Nuisance Animal Control will cull deer in and around the park starting Friday afternoon through Sunday. In its ninth year, animal control officers have culled the deer population around Ella Sharp Park. This year, the Michigan Department of Natural Resources allowed the city to cull 45 deer, down 15 from last year and the year before. As in year’s past, the Jackson-based meat processing business Beef Barn will process the venison and Immanuel Lutheran Church volunteers will distribute the processed meat to needy families through their food pantry. More than 30,000 pounds of venison have been distributed since the first cull. The main road from the park’s entrance to the Ella Sharp Museum will remain open for art patrons.